Luxury chocolates. Made in Modena, Italy. the authentic DOP Traditional Balsamic Vinegar of Modena and real 22K Gold. 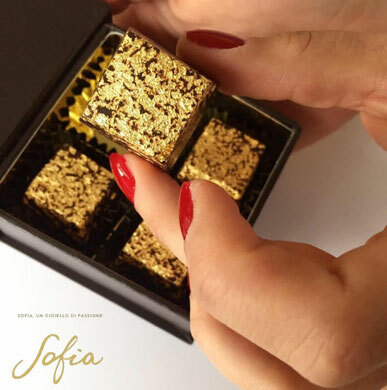 With the support of expert Maîtres Chocolatiers, Sofia Malagoli created a real jewel to taste. The chocolate is a unique way to enjoy the family’s black gold, the Traditional Balsamic Vinegar of Modena DOP. Each chocolate is a blend of authentic DOP Traditional Balsamic Vinegar of Modena, high quality dark chocolate and precious 22 carat gold. 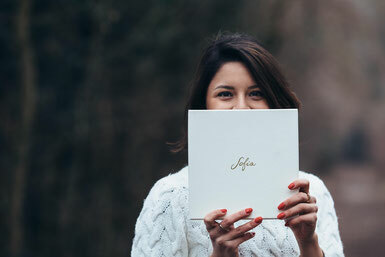 This exclusive edition of Sofia, un gioiello di passione, the perfect combination of taste and is consistent with the traditions of excellence in Modena. 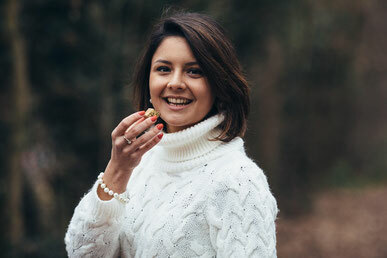 Sofia Malagoli wanted to develop new ways to enjoy the Traditional Balsamic Vinegar of Modena. It was vital however, that the product was of the highest standards. She wanted to create something special, and something that was an entirely different way of enjoying her product. She thought that chocolate pralines would be a perfect fit, but she needed to be sure that the product would be of the highest standard and was not sure how to proceed. An entrepreneur who Sofia met at his factory provided guidance, he is the owner of one of the biggest acetaie in Modena - and she was very eager to meet him. The gentleman helped her, he told her his story and how he grew his business. With his inspiration, Sofia excited to innovate, like the Acetaia she knows that she will put all her heart into it. Sofia is confident that her sacrifices will lead to success. 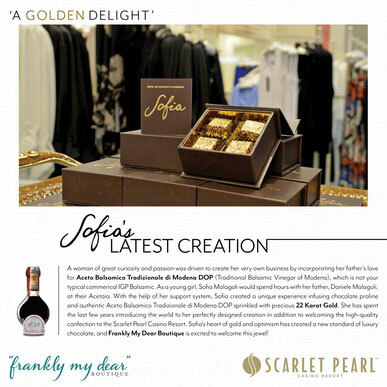 Sofia Luxury Chocolates is proudly part of Frankly My Dear Boutique at Scarlet Pearl Casino in the US! Much more about edible Gold! 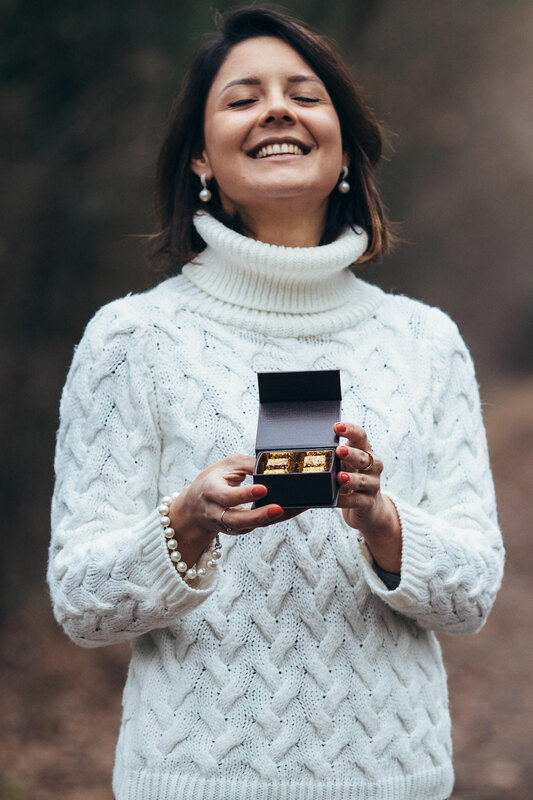 Sometimes when we are showing our new gold chocolates, people are astonished and a little bit skeptical about eating gold! 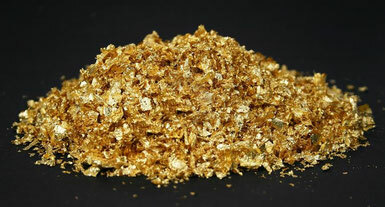 We want to reassure you about it, humans can eat this gold and it has no health impacts. The gold we use meets the technical safety requirements of the European Parliament directive 94/36/EC. Furthermore there are many chefs who have been using it in the kitchen for several years; unfortunately its use is not an absolute novelty! This noble element of the Periodic Table is 100% natural. Created by nature and worked by men. Gold is melted in a crucible, then made an ingot, then pressed many times until it forms a thin sheet. Extruded by rotating rollers, it comes to form a sheet of large surface and thickness around 100microns. Then cracked in various shapes, to form light, flakes. After graduating from high school, Sofia decided to follow her father's footsteps and study Civil Engineering at the University of Bologna. 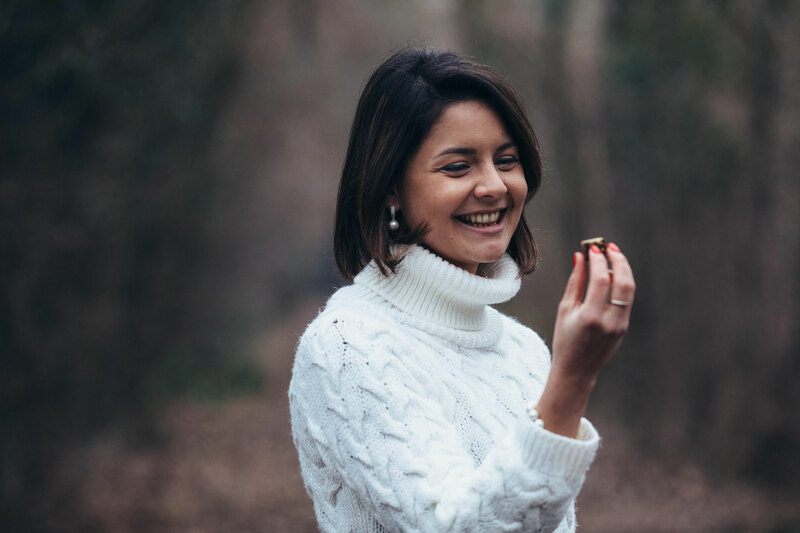 After her first year of University, Sofia decided to turn her father’s passion for Aceto Balsamico Tradizionale di Modena DOP (Traditional Balsamic Vinegar of Modena) into a business. 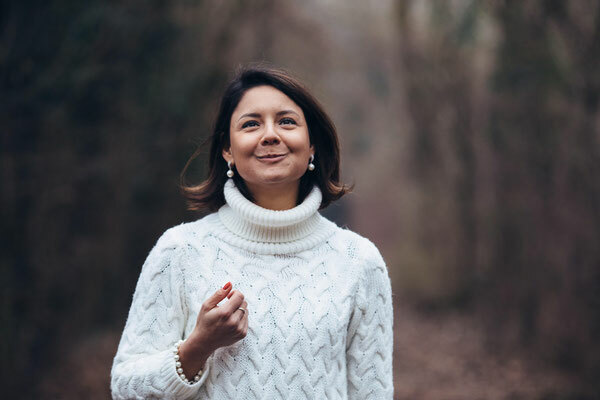 Thanks to her entrepreneurial spirit and the support of her parents and friends, she began to promote their Acetaia and to sell their Aceto Balsamico Tradizionale di Modena DOP. She began planning events at the Acetaia; welcoming local and international tourists as well as building a sales network. Sofia has taught seminars on Traditional Italian Products and Balsamic Vinegar at the Wine & Gourmet Exhibition in Japan, 2017 as well as in Luxembourg to two classes of high school students. Sofia is a consultant to the President of the DOP Traditional Balsamic Vinegar of Modena Consortium and she organized the first Trophy of the Aceto Balsamico Tradizionale di Modena to celebrate the 18th birthday of the DOP Certification, where more than 50 classic and sports cars participated, it was a great success and she will now organize its second edition. Her last creation is represented by the chocolates where is wonderfully expressed her great passion for her job!